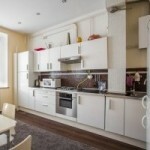 10-minutes walk to Michurinskyi prospect metro station. 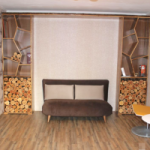 7-minutes walk to Michurinskyi prospect metro station. 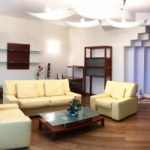 14-minutes walk to Michurinskyi prospect metro station. 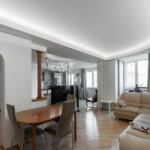 In a 10-minutes walk from Lomonosovskyi prospect and Ramenki metro stations. 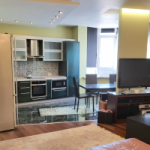 7-minutes walk from Ramenki or Lomonosovskyi prospect metro station. 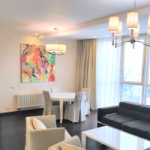 Apartments for rent in Moscow: modern apartments and studios for expats for a long term rent, luxury penthouses rentals, housing rentals in the best elite buildings of Moscow. Moscow is a great Russian city with its rich business and cultural life attracting thousands of foreign professionals, businessmen, and students each year. All of them are looking for a place to stay as one of the first steps when moving to the capital. 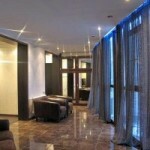 Moscow Rentals provides services for finding rental housing in Moscow to foreigners and Russians. We offer our clients all available rental options in the market and quickly organize viewings of the selected objects. Please, read more about how it works HERE. 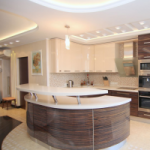 If you are looking for an elite and posh residence in Moscow center or in an international compound, don't hesitate to contact us. 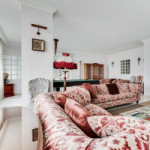 We will offer you all the available properties in the places you are interested in. Houses for rent in Pokrovskyi Hills and Rosinka compounds can be viewed with us at any time convenient for you. With our help, your office search will be much easier and faster. With us, you can search for any type of commercial real estate in Moscow: offices in business centers, stand-alone buildings, etc. Just contact us and let us know of your needs. The most popular expat locations in Moscow center are Patriarchy Ponds, Chisty Prudy, Ostozhenka, Zamoskvorechie, Arbat area, Tverskaya street with Brusov, Gazetny and Kamergersky lanes. 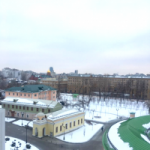 Also, South-West and North-West of the city are rather popular among foreigners in Moscow because of the embassies, International schools, Universities and business centers located there. If you plan to take the metro to get to your work, you might want to be in walking distance from it. Remember that it may be rather cold in winter and you may not like walking too long to reach the metro. If your kid's school is not in a walking distance from the place you want to rent, you can find out if there is a school bus stop close to the building of your apartment. Use Google or Yandex maps to find out how long it takes to get to your work/ school by walk, car or transport in the hours you plan to go there. Make sure you like the neighborhood. Having developed infrastructure around as well as some park are important to most of the people.